Energy gels, bars and full of sugar sports drinks are not for everyone. They are expensive and contain ingredients you may not like or need. They are synthetic; with extra sugar, flavour and colour. Fortunately, synthetic products aren’t athlete’s unique option. Our favourite natural fuelling foods for our training or recreational tours is the raisin, a product which is widely produced in Crete. There are many studies that prove raisins can boost your performance better than energy gels, while also providing loads of cyclist-friendly nutrition. •	Raisins are small pocket sized and easy to carry. They do not freeze during winter cold months; they do not melt during summer warm months. •	They are cheaper, healthier and tastier than sports gels, chews and bars. •	They are 100% natural dried-by-the-sun and unprocessed without added sugar, flavour or colour. •	They are a natural source of energy with a medium glycaemic index, meaning they release their energy more slowly than many processed foods. •	They are fat-free and cholesterol-free and contain a variety of vitamins and iron. •	They contains large amounts of trace elements magnesium, zinc and potassium that regulate blood pressure. •	Raisins contain oleanolic acid that inhibits the growth of bacteria responsible for tooth decay. •	They have anticancer action - especially for the large intestine and stomach and help in good bowel function. •	They have antimicrobial, antibacterial and vasodilatory action. •	Because it is eaten with peel, it has a very high percentage of dietary fiber, much more than most fruits. 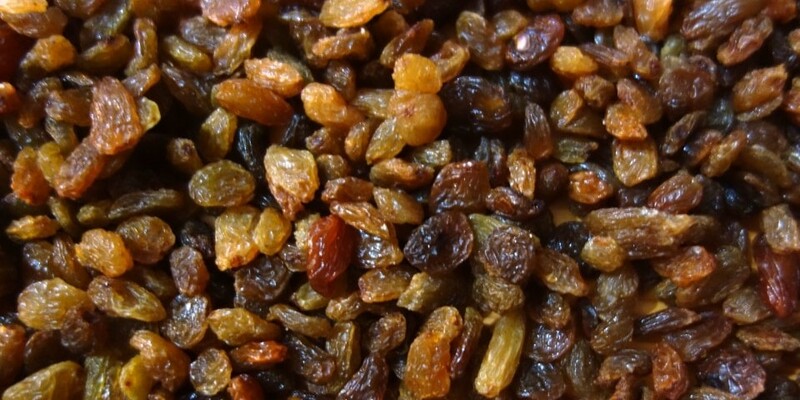 Two tablespoons of raisins a day correspond to 1/3 of our daily fruit needs. •	They are very good source of antioxidants. Their sugars are not in the form of crystals, they can trap other antioxidants and fragrances and protect them. Even the seeds in some raisins contribute to its antioxidant action. Studies published in the Journal of Strength and Conditioning Research, the Journal of the International Society of Sports Nutrition and a study from the University of Illinois at Chicago found that when raisins are eaten before or during a ride work as well as energy gels and chews. Raisins are the perfect snack to boost your energy levels before a ride. 50 grams provides 40 grams of carbohydrates and 150 calories. The iron, a mineral they contain helps maintain riding endurance while potassium is an electrolyte that helps maintain fluid balance. 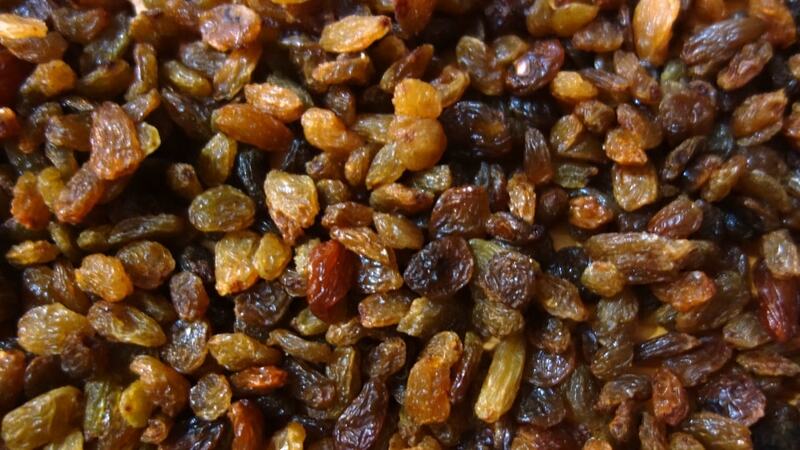 Raisins are source of two types of carbohydrates, fructose and glucose. Consuming more than one type of carbohydrate during exercise can lead to increased carbohydrate absorption, which means you’ll have more energy to keep riding and unlike energy gels and chews, they do not cause an increase in gastrointestinal discomfort. After a tough ride consume a handful or raisins for carbs, a handful of almonds for protein and water. It will help you to rehydrate, replenish spent glycogen stores, repair muscle tissue and be ready for your next day’s training. In Crete, it is mainly produced the Sultanina that started its career after 1922 when many refugees came from Mikra Asia (East coast of Turkey). The Corinthian is mainly produced in the Peloponnese. In the late 19th century raisin exports were up to 75% of total Greek exports. Today production has decreased significantly but the quality remains very high.